Our Partnership with Akzo Nobel/Chemcraft allows us access to additional experts in the wood coatings industry. With technology and industry changes we strive in our partnership to stay ahead of the competition. Akzo Nobel/Chemcraft and Power Precess are also incolved in continuing efforts to feature mer eco-friendly options to our customers. We offer a variety of low VOC products that also offer outstanding performance. Akzo Nobel/Chemcraft is dedicated to being a leader in the industry and teamed with them, we will continue to be as well. Konig specializes in touch up products available in aerosols, pens, dyes and fillers. Konig is committed to limiting repair time and improving productivity. ICA is a European based company that specializes in water and solvent coating systems. ICA has interior and exterior polyurethane systems, polyester and state of the art water borne products. Working with ICA allows us to create paints and stains in any color imaginable. ICA and Power Process are committed to bringing you coatings that produce beautiful aesthetic results while not compromising on price or the environment. PPF Commercial Performance coating has been in business for more than 100 years and is one of the largest suppliers of transportation coating and a leading maker of industrial and packaging coatings. PPG offers a full range of coating technologies from alkyds, epoxies, and low VOC urethanes. 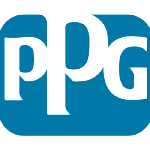 PPG’s strong reputation as a leading developer of commercial coatings technology lies in its commitment to research and development.